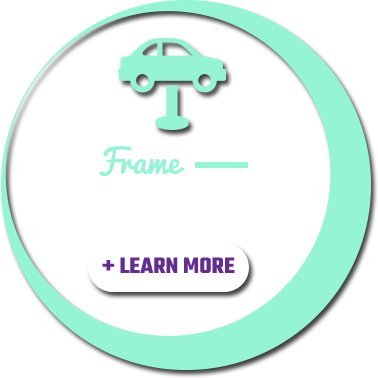 J.R.’s Frame and Body has been providing customers the highest quality frame, auto body and paint repairs from our shop in Marmet, WV since January 1, 2006. We are proud of our accomplishments since we started the business, with many satisfied customers, including their family and friends. Opened by owner J.R. Webb, J.R.’s Frame and Body has a lot of things going in our favor. They include a 5,500 square foot building we recently moved into, two large bay doors and five entrance doors. Our office is located in the center front of the building, making it easily accessible to customers .We feature five body technicians and two refinish technicians, all of whom are highly trained and experienced in the industry. We have a combined 150 years of experience among the technicians in the shop. No matter the size of the job, we are here to take care of all your automotive needs. J.R.’s Frame and Body has the capability to estimate damages from programs CCC ONE and Audatex. CCC ONE ™ is software that allows us to write estimates easier, faster and with more accuracy than older programs. Audatex is an innovative new program that provides faster and more accurate estimating.We are large enough for an insurance company to do drive-in estimates at our facility, if necessary. We work with all insurance companies and private pay customers. We have ample room for our customers to be comfortable during a brief visit for an estimate of repairs.